Dr. Trumble takes pride in caring for patients by providing exceptional care to tackle a variety of different healthcare needs regarding the elbow, wrist, and hand. Whether dealing with a fracture or painful arthritis, Dr. Thomas Trumble and his team bring forth effective treatments. Doctor Trumble and his team leverage technology inside and outside the clinic to insure your needs are cared for and exceed. Dr. Thomas Trumble, M.D. completed medical school at Yale University School of Medicine and he continued his orthopaedic residency at Yale New Haven Hospital. After completing residency training, Dr. Trumble completed a Hand and Microsurgery Fellowship at Duke University in 1984 followed by a Hand and Reconstructive Fellowship at Harvard University at the Massachusetts General Hospital. He taught at Yale University for four years as an assistant professor before moving his family in Seattle to join the University of Washington. For twenty years he served as chief of the hand surgery service and the director of the fellowship training. 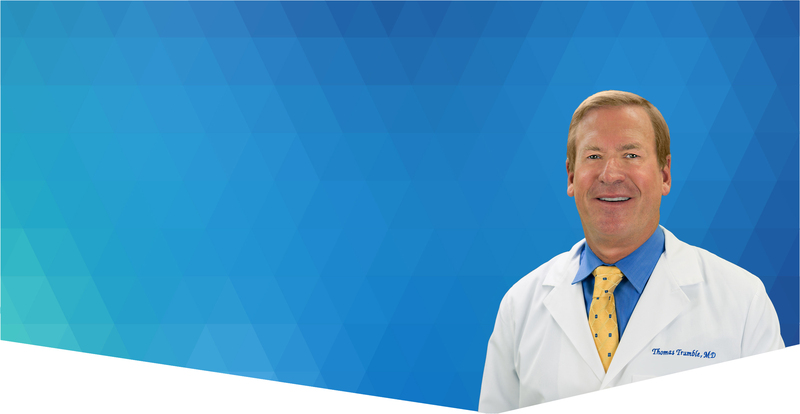 Because of his interest in bringing specialty hand surgery to the Eastside, Dr. Trumble established an office practice on the Eastside in 1998. In 2010, Dr. Trumble retired from teaching at the University of Washington to focus on patient care based at the Bellevue Hand Surgery with a surgical practice focused at Overlake Hospital Medical Center. Dr. Trumble has also recently been named one of Seattle Met magazine’s Top Doctors for 2011 in the Seattle area. Having the best team in the Pacific Northwest allows Dr. Trumble to consistently deliver unprecedented medical care. Surgery on my hand was flawless and he and his staff got me in to see him right away on an emergency basis when needed. He and his staff were great! Dr. Trumble is a miracle maker. You can tell he is extremely amazing at what he does and his years of experience makes him worth a million dollars. Wonderful doctor, fantastic experience, completely satisfied with his work on my wrist. Went in for a second opinion. Great and knowledgeable doc. Sent me to therapy where I regained range of motion in my hand after 1st (Berkeley, UCLA) doc did not. Therapist was awesome!!! When I damaged wrist, six different doctors wanted to fuse my wrist. When I was close to giving up my hope, I found Dr. Trumble. He was the only doctor that assured me he could repair and restore my wrist to full function and he did!